GIANT PRICE CUT, BRING YOUR OFFER! 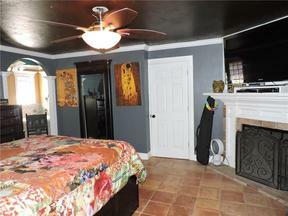 BEAUTIFUL HOME WITH INGROUND POOL NEEDS YOUR LOVE AND COSMETIC AND UPDATING TOUCHES! Its priced way below market value, it's priced to sell AS IS, CASH or CONV. Home Owners & Investors both, need to see this Home. It has a Fantastic European Flare w/features not found in most homes.It has 3/4 Bedrms or Bonus rm upstairs, 2 Huge Livingrms dwnstrs, FP & High Ceilings, Tiled Flring, Kit has custom wood cabinets, Pantry, Study, Inside Utility, Walkin closet, Updated Bthrm Granite, Dbl Vanity, walkin shower W/Rainhead, Jacuzzi Tub, Bthrm 2 updated, the list goes on! Inground pool liner 2 yrs old, replaced pool pump, fiter & control module last yr, fish ponds, Seller says HVAC, Appls, etc all work. Courthouse records show less sf, Appraisal Is higher SF. Buyer to verify SF & Schools. Home could be your forever paradise for you, your famiy & friends! WILL SELL FAST! Will look at all offers. CONVENTIONAL OR CASH OFFERS ONLY, SOLD AS IS.